and to secure its future in both Shetland's crofting culture and the wider world. Shetland cattle are robust and produce quality milk and meat as well as being environmentally friendly. 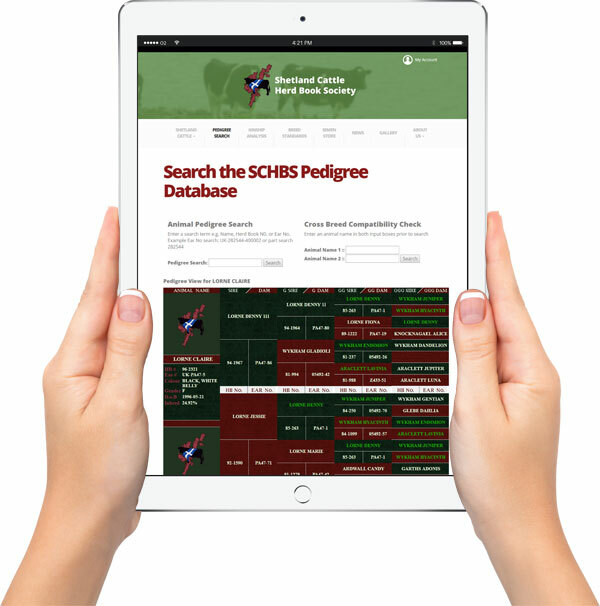 Use our searchable database to find pedigree data on individual cattle, or check breeding compatibility between any bull and cow within our database. To make Bye-Laws for conducting the business and regulating the proceedings of the Society and to enforce the same by fines or otherwise. To maintain unimpaired the purity of the breed of Shetland Cattle, and to promote the breeding of these cattle. Search by name, ear no. or Herd Book no. Copyright © 2016 - 2019 SCHBS. All rights reserved.